Bath Academy > New Evening Classes! Would you like to improve your English for work? Are you studying for the IELTS or the Cambridge Exams (FCE/CAE)? Do you work or study during the day with little time to focus on improving your English skills? Our evening classes can help you achieve your goals. 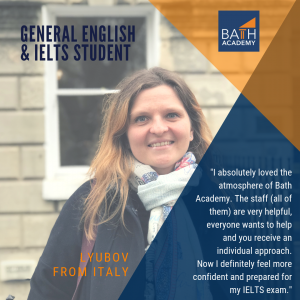 Our small, personalised classes have proven to be highly effective in getting students to improve their English quickly, and our experienced teachers will ensure you get the make the most of your lesson time with lessons tailored to your individual needs.